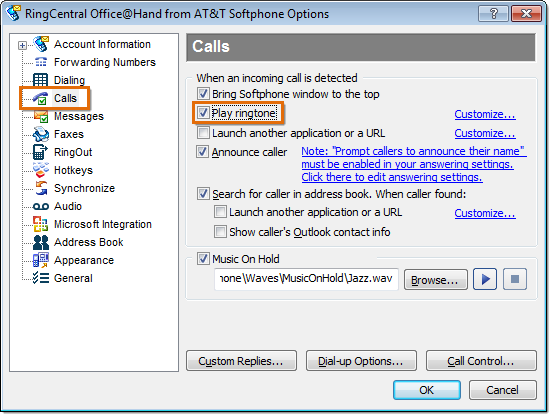 This article will guide you on how to set up your Office@Hand Softphone to ring repeatedly. 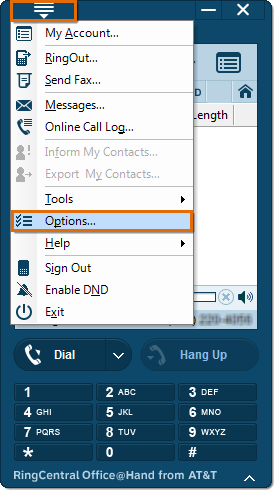 Click on Menu > Options. Click on Calls. Check the box besides Play ringtone. In the same window, click on the Customize link. Click on the radio button besides Play repeatedly. 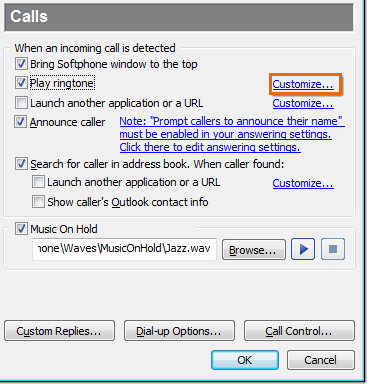 Click Ok.
On the Call window, click again to save the changes. You have now set up your Office@Hand Softphone to ring repeatedly.